The Flagship or Capitana El Rubi Segundo (Second Ruby), was a ship of tremendous importance in the 1733 Spanish Treasure Fleet. This magnificent vessel was commanded by General Rodrigo de Torres, and on board she had 60 cannon. The Capitana also carried over 2,000 boxes of bullion, gold and silver coins including pillar dollars. El Rubi was also transporting materials from the southern regions which included indigo, vanilla, chocolate, and tobacco. When the strong hurricane winds began to separate the Flota and drive the individual ships closer and closer to the coral reefs, the flagship was already in trouble. She had begun to take on water, and when she finally grounded inside the reef line, it was almost a blessing. If the Capitana El Rubi Segundo had stayed at sea, her cargo and crew would likely have been lost as she was structurally failing. The grounding did not go without incident however. Two crew were thrown overboard and died, and another was crushed when the ship struck the coral reef. Very quickly the water consumed the Capitana El Rubi Segundo, and she rolled onto her starboard side, facing out to sea. Due to the immense wealth she carried, General Torres immediately ordered 2 forts built on Upper Matecumbe Key. His obligation was to protect King Philip V's treasure and return it safely. 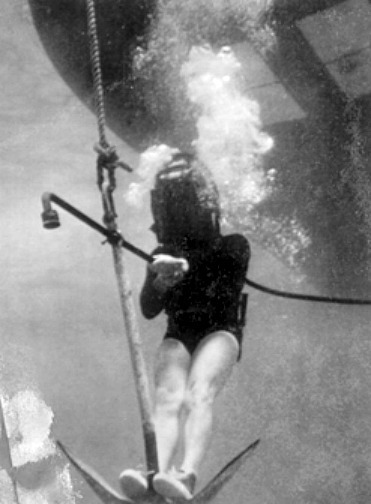 Scuba divers were brought in from Havana to aid the crew. Together, they recovered most of the copper, some of the cochineal and indigo, along with all the coins and bullion except for seven unaccounted boxes. Fast forward to 1938, when Reggie Roberts, a commercial fisherman spotted a cannon protruding from a pile of stones off Plantation Key. He notified Art McKee who began to explore the area and in doing so, McKee uncovered Spanish silver coins and one gold escudo which was dated 1721. To help determine the identity of their discovery, he wrote to the Archive of the Indies in Spain. In turn they forwarded a package of information relating to the 1733 Silver Plate Fleet. It was obvious from the enclosed information that he had discovered the Fleet's Capitana El Rubi Segundo. Over the next 10 years, Art McKee and his associates continued wreck diving on this site, along with numerous others shipwrecks from the same era. Their efforts from the Capitana alone produced all sorts of Spanish treasure including silver coins, statues, daggers, swords, pistols, jewelry, navigational instruments, ship's gear, pewter, galley items, cannon, cannon balls, ballast, timber, rope, religious artifacts and pillar dollars. Of tremendous significance, both then and now, was the fact that the ships in the Flota were carrying the first set of pillar dollars ever minted. These were screw-pressed round coins made in the Americas, and when the ships carrying this valuable cargo went down, so did these important coins. Today, anyone finding a pillar will be finding one of the lost coins from the 1733 Spanish Treasure Fleet. By 1949 Art McKee had amassed considerable Spanish treasure, but he also wanted to share his findings with the world. Towards that end, he sought out different means to raise funds, and three years later he was successful in his efforts. 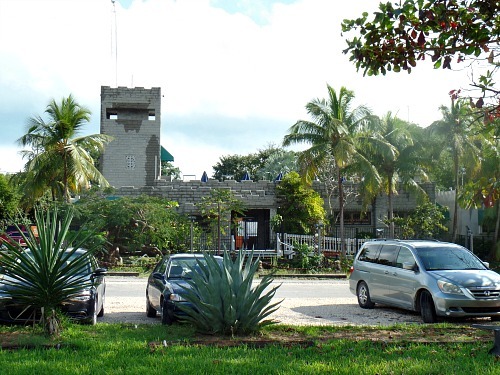 His Museum of Sunken Treasure, on Hwy US 1, Plantation Key resembled a fortress complete with cannons on the ramparts. In the place of honor, proudly displayed outside the front of the museum, was the Flagship El Rubi's 16 foot anchor. Today, the museum no longer exists. After closing, it was turned into Treasure Village and today, it houses a local Montessori School. 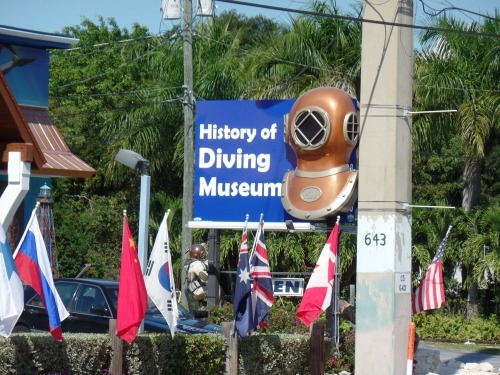 To continue his legacy, and in honor of the special contributions he's made, the History of Diving museum has created a special display that pays tribute to Art McKee. In retrospect, it's fortunate that the Capitana El Rubi Segundo was discovered and subsequently salvaged when it was. By the 1970's the remains of the Flagship had begun to sink deep into the sand. By the late 1980's, the Capitana El Rubi Segundo was buried. If Reggie Roberts hadn't discovered it, or if Art McKee hadn't faithfully worked the site, the legacy of Spanish wealth from the era of King Philip V would have likely been lost forever. You'll find the Capitana El Rubi Segundo in the Florida Keys National Marine Sanctuary between Davis Reef and Crocker Reef off Plantation Key. 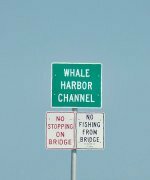 If you're planning on scuba diving Key Largo and are going to go wreck diving at site, anything you find is protected and must not be removed or disturbed. However, the water is ultra clear, so novice divers and anyone Florida Keys snorkeling, can easily see the bottom just 19 feet below. Look carefully and you'll be able to spot ballast stones and bits of timber nestled in the sand or tucked in and around the sea grass. Most of the 1733 Spanish Treasure Fleet were destroyed during that horrific Florida hurricane. El Rubi and 2 other warships, Almiranta El Gallo Indiano and the refuerzo El Infante carried extreme wealth, approximately 13,000,000 pesos in gold, silver and copper. It's still believed that some of the Spanish treasure is buried beneath her today. Not only did she carry great wealth, in a fleet, the Flagship is typically the most impressive ship leading the way. She usually has the best quarters, is the largest, the fastest, and is the heaviest armed. The Capitana El Rubi Segundo was all of this, and more.